We have a new issue of the magazine out now! Australian Vegans Journal No. 3 is ready for pre-order. We've posted out all of the single purchase AVJ #2 perks, Get The Set perks, Book and magazine combo perks. Overseas orders will be posted tomorrow as well as multiple AVJ#2 orders. We have kept this page active for anyone who has just discovered our project and wants to purchase a perk. From the whole Australian Vegans Journal team, a HUGE thank you for supporting vegan independent magazine publishing. You're the best! What is Australian Vegans Journal? In case you missed the memo last year, here is a brief overview of what we are doing: Australian Vegans Journal is an independent, ethical vegan publication with articles written by vegans from across Australia. 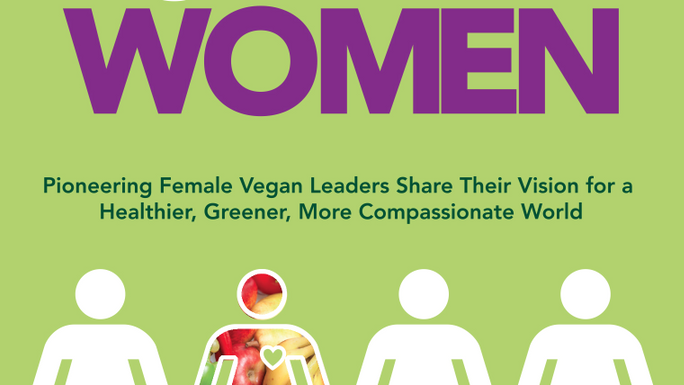 Volume two of Australian Vegans Journal is a very special, powerful collection of articles and images from a diverse cross-section of the Australian vegan community. We are absolutely thrilled to have Ashley Avci as our cover ambassador for this volume as she is a highly effective, passionate animal activist as well as a highly intelligent ethical leader. 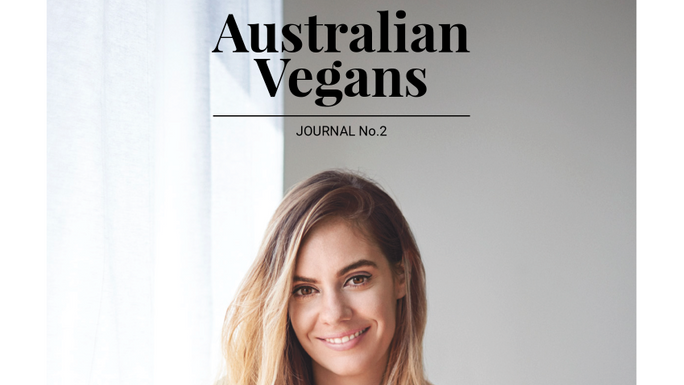 She emodies the values and qualities we seek to share with the world through Australian Vegans Journal, and so couldn't be happier that she said "yes" to the cover and the interview we did with her! We hope you enjoy reading her inspiring words too. (It's 80+ pages of super content. No fluff, all good stuff). Delicious recipes by Nicole English (from Raw Kiwi), David Nightingale (from A Fist Full of Hummus) and Nouha Salim (from Lebanese Vegan). Like what you see? Buy it today! If you like what you've read, we invite you to click on the buttons on the right and buy printed copies of Australian Vegans Journal. A big part of what we do is vegan outreach. We will be sending copies of AVJ vol. 2 to members of parliament, the mainstream media, corporates and other influencers. We also distribute free printed copies to doctor's waiting rooms and other public places so non-vegans can check it out. The more printed copies we sell, the more outreach we can afford to do. If you share our vision of a vegan world and like what you've read here, please buy a printed copy or two. We print on 100% recycled paper using veg-based inks with a printer who prides themselves on their commitment to sustainable and fair trade practices. Considerable time and effort goes into sourcing sustainable suppliers at every step of production. We would like to thank our sponsors for coming on board for volume two. All sponsors are vegans who run 100% vegan businesses. We save all our sponsored ad space for them as we treasure the commitment these businesses have to servicing the Australian community with their ethical products and services and their commitment to being vegan themselves. We have limited sponsor spots left for volume two. Please see the perks opposite for details. To apply, you must be vegan yourself and run a 100% vegan business. If you are a retailer, and would like to stock Australian Vegans Journal, please email Kathy for wholesale rates. We also offer wholesale rates if you buy bulk quantities for other purposes, and especially if you're going to place magazines in public places. Please get in touch. If you can share our campaign with your friends on social media that would be awesome! **We send regular email messages to keep everyone in the loop regarding delivery timeframes. **Please email [email protected] if you are outside of Australia and wanting to purchase journals. 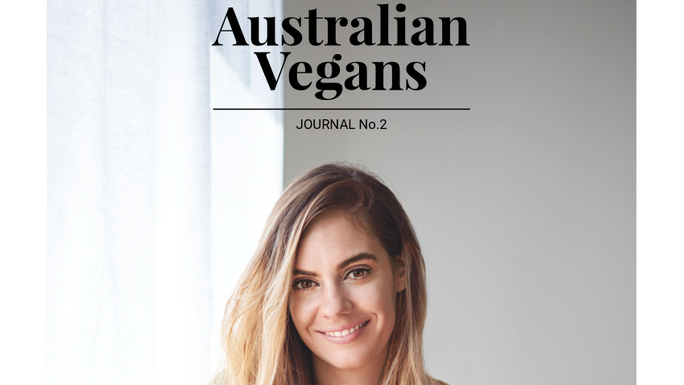 Australian Vegans Journal is back with volume two! Grab your copy of this unique magazine, aimed at inspiring vegans and the vegan curious to create a peaceful, ethical world for all beings. 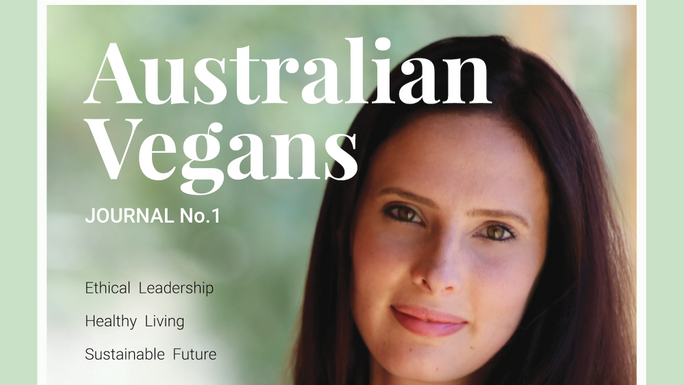 You will be the first to receive the news that the digital version of Australian Vegans Journal vol. 2 is ready for downloading from ISSUU.com. Lucky you! One printed copy of Australian Vegans Journal vol. ONE and one printed copy of Australian Vegans Journal vol. TWO. Includes postage to anywhere around Australia. One printed copy of Australian Vegans Journal vol. 2 and one printed copy of the book Plant-Powered Women. Includes postage to anywhere within Australia. Super value! One printed copy of Australian Vegans Journal vol. 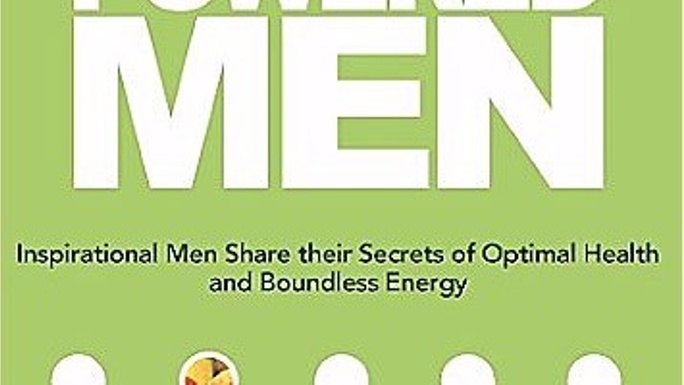 2 and one printed copy of the book Plant-Powered Men. Includes postage to anywhere within Australia. Super value! One printed copy of Australian Vegans Journal vol. 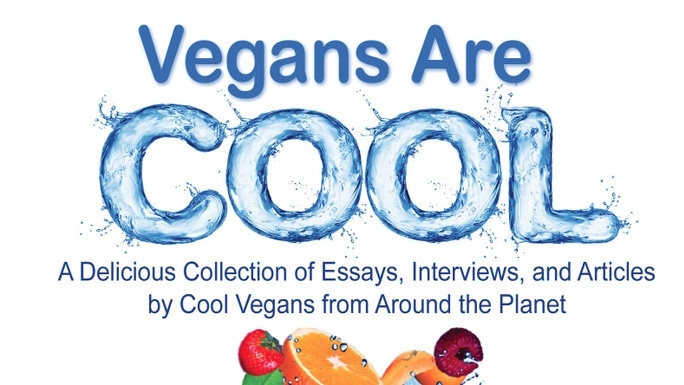 2 and one printed copy of the book Vegans Are Cool. Includes postage to anywhere within Australia. Super value! 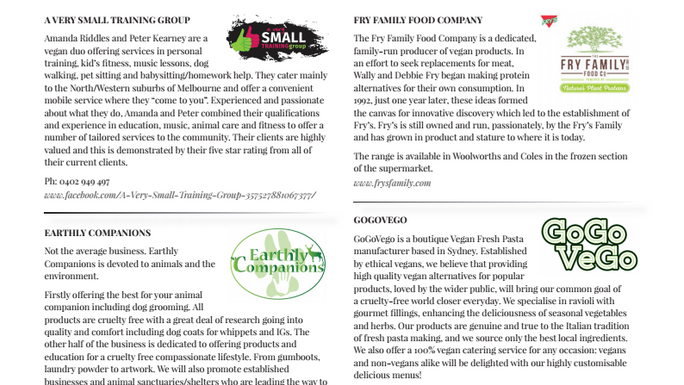 Grab a 1/8 page sponsored advertisement in Australian Vegans Journal vol. 2. Ad space includes up to 100 words of text, your logo and website. ONLY take this perk if you are living a vegan lifestyle and are promoting a 100% vegan business/organisation. Money will be refunded if you don't fit this criteria. If you want this perk, grab it now. This one sold out really fast during the launch campaign. One hour mentoring session with Kathy Divine Are you a first time author and want to learn the ins and outs of independent publishing? Grab this perk and have all your questions answered by a vegan author of five books and the editor and founder of Australian Vegans Journal. Sessions are via Skype or phone. Other lesser monetary amounts for sessions are possible. 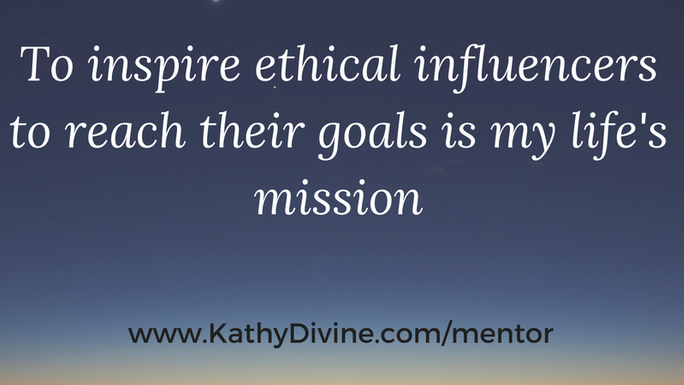 Please see kathydivine.com/mentor for details.